Our neighbouring farm, Allen Valley, spend their days producing delicious, creamy pasteurised milk for their suppliers, friends and family. The milk comes from very happy free-range cows who can be seen grazing in the Allen Valley for miles. Then farmers at Allen Valley had an idea. 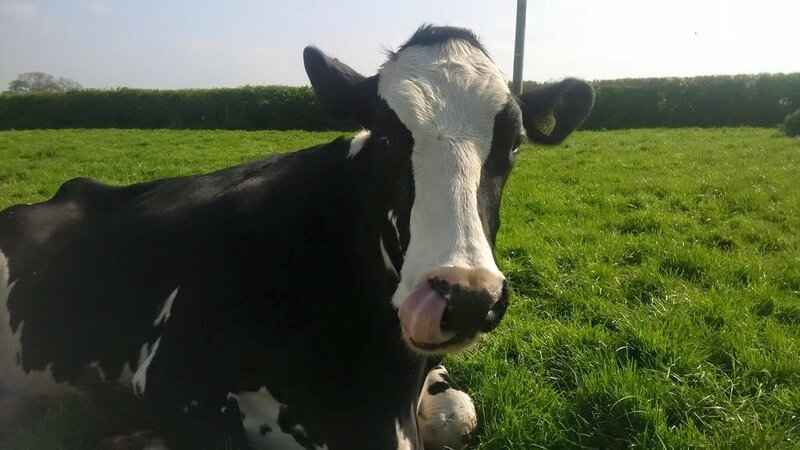 In the interest of ethical farming, reducing plastic waste and supplying more local people with local milk, why not create a way for people to access Allen Valley Milk without going through the corporate giants? That’s when Allen Valley’s Milk Vending machine was born. The milk vending machine is located on the grounds of Pamphill Dairy near The Barn and is accessible even when the shop and cafe are not open. It can be seen from the entrance with its hut-style shape and forest green logo. There is a little hatch at the bottom which dispenses the bottle and a small door which opens to reveal the tap for the milk. You buy a glass bottle from the machine for £1 and then top it up with milk for another £1. Each bottle is a litre so the milk is £1 per litre. Then, in the interest of recycling, you can bring the glass bottle back when it’s empty and fill it up again! We have had so many comments about the milk vending machine since it opened at Pamphill Dairy. People have mentioned how the milk is far superior to standard supermarket milk; it’s creamier, more filling and with a fresher taste. The added bonus of it being a plastic-free way to have your milk and the fact that it comes from very happy cows just completes the string of benefits. If you fancy some delicious locally produced milk, delivered fresh from the farm across the road every day, then come to Pamphill Dairy to enjoy yours.